The Governing body of Table Tennis Canada and SportLoMo, the fastest-growing software provider of sports technology in Canada, today announced a strategic alliance to revolutionize table tennis in Canada. The two have forged an exclusive partnership to transform table tennis with the SportLoMo digital platform offering a suite of new technology features across all facets of table tennis from Online Registration, Membership and Game Management to Player Participation. 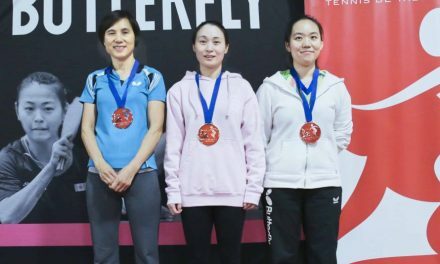 Table Tennis Canada is a not-for-profit organization, responsible for promoting and developing Table Tennis in Canada from grassroots to the podium, cataloging, sanctioning and processing tournaments within Canada. It maintains a national rating and ranking system and oversees the Canadian National Program. “TTCAN’s vision is to create a high-performance environment that supports Canadian athletes in their quest for the podium at major international competitions, build and maintain a national competition system, advance the expertise in all matters table tennis through education and programs accessible to all Canadians, and assist provincial member through LTAD/TT4Life programming associations with building a large base of table tennis players and clubs in Canada. SportLoMo has a proven track record and a great service. Together I feel we will provide a platform for table tennis in Canada to make strives forward.” said John Hyland, CDO, TTCAN. 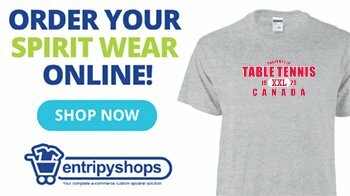 The Canadian Table Tennis Association was formed in 1929, with Québec as the founding provincial member and Ontario joining 5 years later. A long association with the Canadian National Exhibition began in 1936, when the first Canadian Table Tennis Championships were staged there.